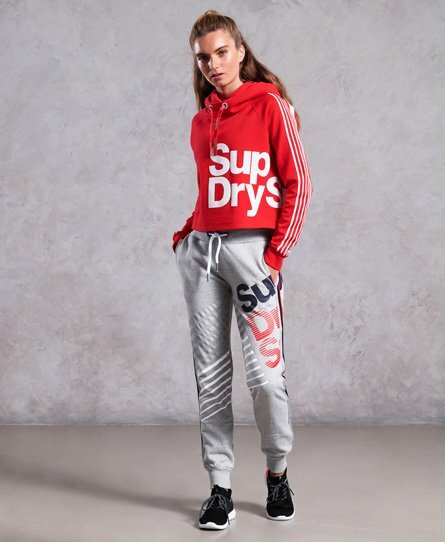 Superdry women’s diagonal Speed Sport joggers. Stay comfy in these joggers, featuring an elasticated waistband with draw cord fastening, cuffed hems, two front pockets and a single pocket on the reverse. These joggers also feature super reflective detailing making you stand out in low light and are finished with a Superdry Sport logo on the leg and stripe detailing on the leg and seams. Look unstoppable with these joggers and one of our hoodies.